Zinedine Zidane’s men were facing yet another disappointing result less than a week after their title challenge suffered a blow in the disappointing defeat to Valencia, but managed to overcome Villarreal despite trailing 2-0 at one point. 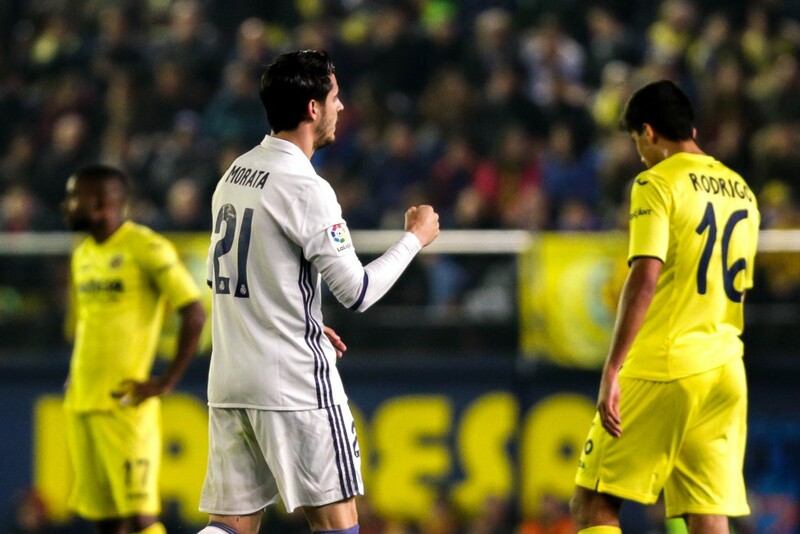 Trigueros opened the scoring in the 50th minute after some slack defending from Real Madrid, before Villarreal too easily scythed open the visitors defence to allow Bakambu to put the hosts 2 goals ahead. Madrid pulled one back minutes later after a brilliant cross from Dani Carvajal was met by Gareth Bale, who headed in his side’s first goal of the game. A questionable penalty was then awarded to Real for a handball, which Cristiano Ronaldo duly slotted away. Madrid completed the comeback in the 81st minute after a brilliant cross from Marcelo was headed in by substitute Alvaro Morata. The result means that Real Madrid have now moved back to top spot in the La Liga, with a game in hand. We take a look at some of the key talking points from the game. Madrid have definitely had their fair share of luck this season and were on the receiving end of some more good fortune last night. Bruno Soriano had no time to react as the ball bounced up and hit him in the arm and most referees would not have awarded a penalty in this situation. The ensuing fiasco over the decision saw Villarreal manager Fran Escriba raging at the fourth official and nearly getting sent off, before Roberto Soldado – who was on the bench as a substitute – was also booked for his protests. It was a key decision in the game as it completely shifted the momentum Real’s way and Villarreal were very unfortunate to be punished by some poor refereeing. For Madrid, though, it was another slice of fortune – something every team needs when it is locked in a tight battle for the title. Real Madrid’s defence has been shaky at times this season and last night was more evidence that Zinedine Zidane needs to address their issues. Their defenders looked completely lost for the opener, as Bruno was given too much time on the edge of the box, eventually playing the ball in that would lead to the opening goal. For the second, there was absolutely no pressure on Villarreal’s midfielders and a simple through ball made Madrid’s back line look like it was non-existent. Bakambu was completely free and put the ball past Keylor Navas – who had no chance of saving it. As last week’s defeat to Valencia showed, the La Liga can still surprise people with massive upsets, and Real Madrid need to tighten up their defence if they want to avoid these. Given how close Barcelona have got to Los Blancos in the title race, it needs to happen soon. Bakambu had been dancing circles around Pepe and Ramos all game. That goal was coming. Madrid have had a few disappointing results over the last few weeks, so their fans will be extremely relieved about the fact that Gareth Bale has now returned to action. The Welshman is still a little rusty after his long absence, but he still managed to stand out as one of Real’s best players last night. 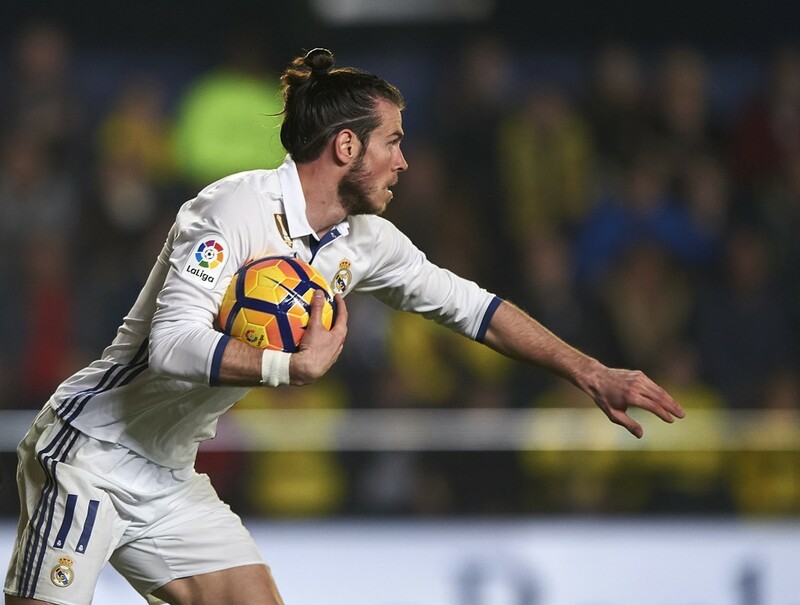 In his 86 minutes on the pitch, Bale made 30 accurate passes, 3 key passes, scored one goal and completed two dribbles. He also scored Madrid’s all-important opening goal that set the side on the path to their comeback. Bale has been missed at times on that right hand flank and last night he showed exactly why. As soon as Madrid had landed the equaliser, Bale was suddenly given more space on the right as Villarreal looked to attack and was a constant threat to their defence. Alvaro Morata’s move back to Real in the summer hasn’t exactly gone to plan. He was forced to leave Madrid for Juventus because of a lack of game time in the first place, but having proven himself with the Bianconeri, many thought that he would usurp Karim Benzema this season and play a key role in Madrid’s season. Speaking after the match, Zinedine Zidane admitted that Morata deserved more game time, but while these may have just been offered up as platitudes, perhaps it is time Morata is given starts ahead of Karim Benzema, who has had a disappointing season thus far. If the past few weeks have shown one thing, it is that the La Liga title is going to be a very interesting one this season. Both Real and Barcelona have had a few disappointing results in the last few weeks and both have shown that they are capable of dropping points in shock results. Barcelona have their own issues with their coach and the squad, but while Real look unified throughout – with the exception of the fans who have got on the backs of players like Danilo and Benzema this season – they have their own issues on the pitch as well. 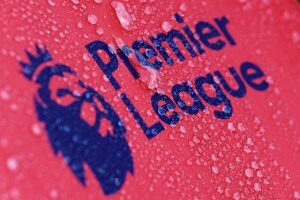 There will definitely be more twists to the tale as the race for the title intensifies, and this season is definitely one to keep a close eye on for fans of the club as well neutrals.